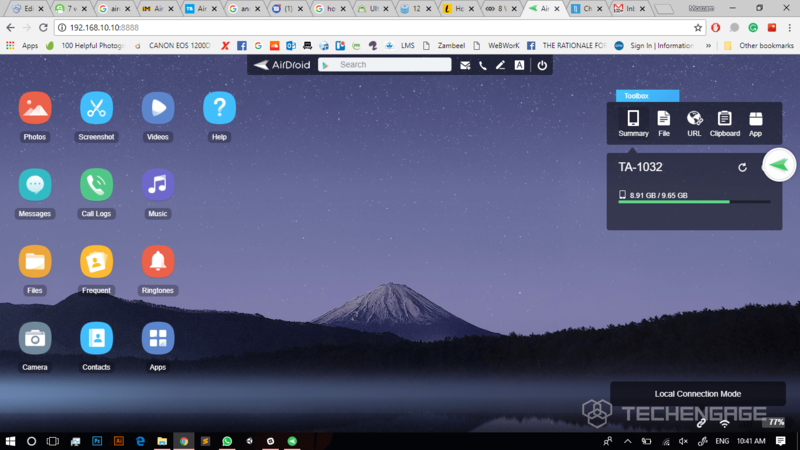 AirDroid is one of the best apps on Android that gives you access to almost everything on your phone, right on your desktop! With AirDroid being one of the most powerful options to control your device, there is absolutely no need to shift devices at work. There is a long list of amazing things you can do with AirDroid. This article sheds light on the amazing features and tells you how to take the best out of the Device. Let’s start with setting up AirDroid. AirDroid is available on the Google Play store. The app has been amazingly crafted by the developers at the Sand Studio and is available for free. You first need to download the AirDroid app on your android phone. Once downloaded, open the app to sign in or set up a new account. Set up your account on the service using your email address and log in. After login, there are several options to connect to your PC or Mac. AirDroid has a beautifully designed Web Application to access your phone. To access your phone, go to web.airdrod.com and scan the QR code that comes on the screen through your app. Alternatively, you can also log in on the web portal with the same credentials used to log in into the app. A faster way to interact with your phone is to connect it directly using the IP address provided by the application. Direct connection through WiFi is many times faster than a connection through the internet. For the direct connection, your phone and computer both need to be connected to the same WiFi connection. 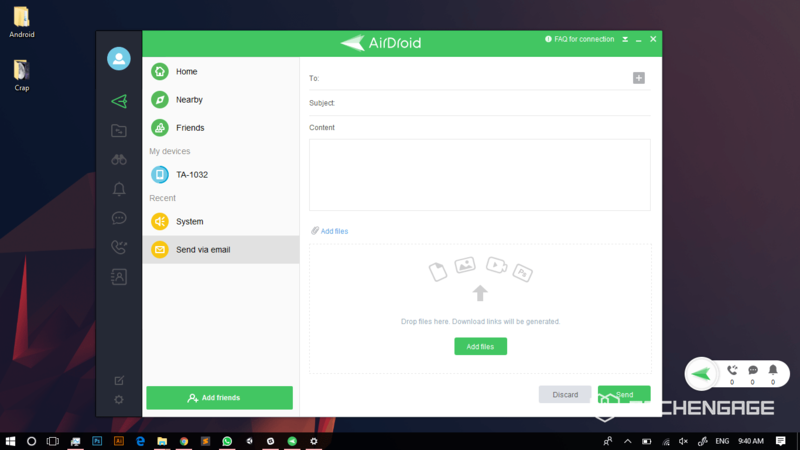 Another way to use AirDroid is to download the AirDroid Windows or Mac application on your computer. The computer application requires logging in into your AirDroid account to access your device. Another amazing way to do so is to let the software search for nearby devices on your network and then you can sneak in into the device of your choice! 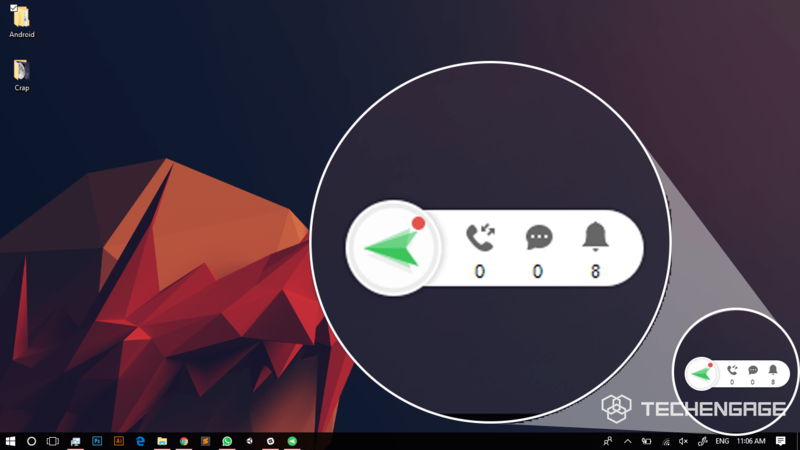 The computer application also has a floating navigation bar that hovers on your desktop to provide quick access to your notifications. After you are connected with your device, let’s dive into all the amazing features the app has for you. The best feature of the app is that you can directly control your entire device remotely from your desk. You can actually use your phone from your computer screen. The app lets you browse through your apps, play songs, check your notifications and even play games! You can literally do whatever you want on your phone without even touching your device. How cool is that? This feature is called AirMirror. Air Mirror is the most useful addon to the app available on Google Play store. Moreover, It is the ultimate solution you need to completely take command of your phone without touching it via your USB cable. On your phone, go to “Settings” > “About Phone”, and tap “Build Number” seven times to enable Developer Options. In the Developer options that will appear on the main settings page on your phone, go on and enable the “USB Debugging” option. However, there is some sad news as well. Availability of the feature depends on your phone’s hardware specifications and thus is only limited to a number of brands. By attaching your phone to your PC through a cable, you can also view and record your phone’s screen while you use it. A preview of the screen can be seen live on your PC while you can also record your screen view and save a video on your computer. This tool can be extremely useful in recording demo’s or testing an Android application on your device. 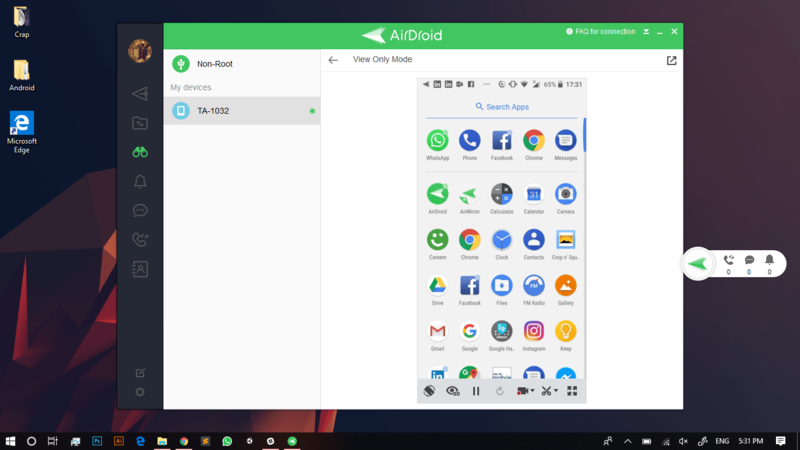 With Airdroid you can connect and multiple devices on your PC. Yes, that’s true! You can easily add or remove connected devices while accessing their functionality from your desk. 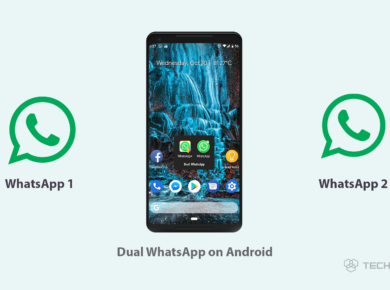 The app allows you to directly send or receive all types of files to and from your Android device without connecting your phone through a cable. You can manage all your files on your Android device. The app allows you to directly copy, paste, cut or delete files from your phone. All this can be done using a simple interface provided in the app. Moreover, the app lets you upload and download files from your device at an extremely fast speed through a WiFi connection. Alternatively, this is also possible via the internet. 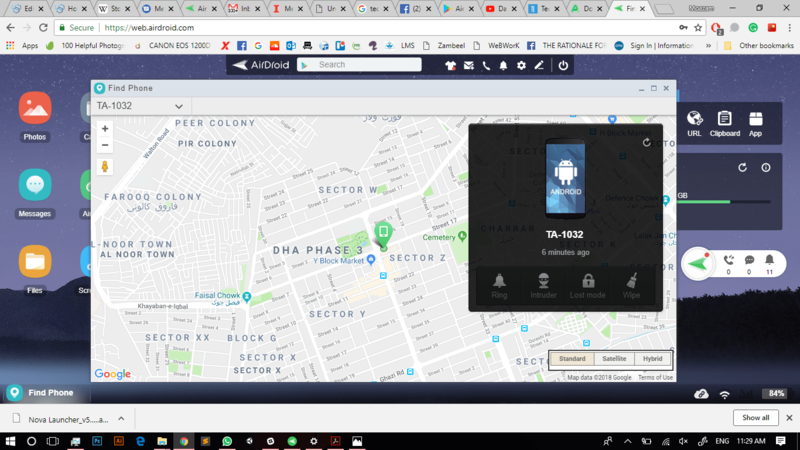 This feature allows you to locate your phone from anywhere in the world. The app opens a map interface that shows the live location of your phone. 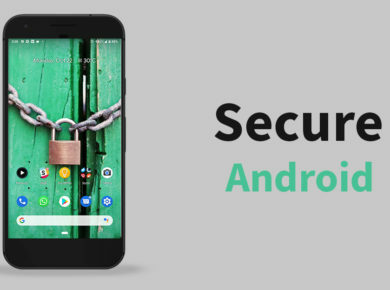 In case your phone is lost or stolen, you can save your personal files and data from getting into the hands of malicious people. This feature allows you to remotely erase all data from your phone and reset it to its default state. This prevents intruders from using your personal information and data for malicious purposes. Lost your phone somewhere? No problem. AirDroid allows you to make your phone ring from wherever it is even if you have set it on the “Silent Mode”. This allows you to easily locate your phone from difficult places like under your living room sofas. This is a small but a really handy feature. Furthermore, AirDroid even lets you use your computer’s keyboard on your phone. You can enable the AirDroid keyboard on your device and connect it via a USB cable to have a better typing experience. This feature can be extremely useful in preparing lengthy notes, documents or emails on your phone. Moreover, it can also be useful for the lengthy comments you have to write while debating on Facebook! Just plug in your phone to your computer and start typing! Years before Google officially launched a Web client for its Text Messages application, AirDroid was there to give you access to text messages. 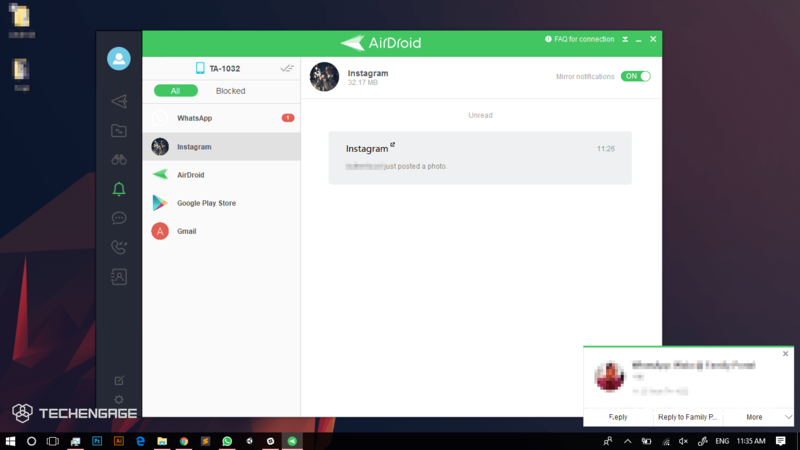 AirDroid allows you to read and send text messages from your computer very conveniently using a simple interface. The app shows you the list of contacts on the left and messages on the right. You can select any contact to view your messages and respond. 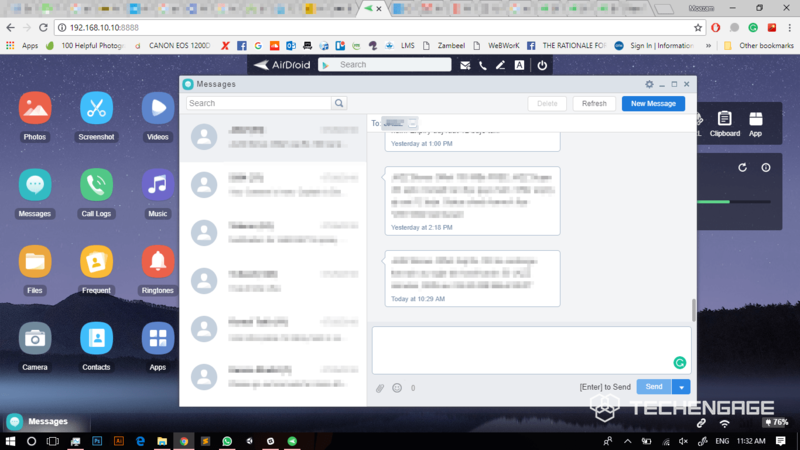 Another very relieving functionality that AirDroid Developers have added into the app is that it allows you to access all your phone’s notifications on your computer. You will get notified whenever an application sends out a notification on your phone. Moreover, you can also block notifications for certain applications. The feature is there to notify you whenever your phone buzzes. Whether you receive a text, a call, an important email, or a WhatsApp message from your friends, the software will notify you right on your computer. You can also view your phone’s battery and connectivity status on the bottom right corner of the AirDroid web client’s screen. AirDroid allows its user to access their contacts from your desk. You can browse the catalog or even search for specific contacts. Moreover, you can also select and view contact details. The app also allows you to send text messages to your favorite contacts. Furthermore, users can also view their call logs on their computers. The app lets you upload APK files from your computer to your phone. 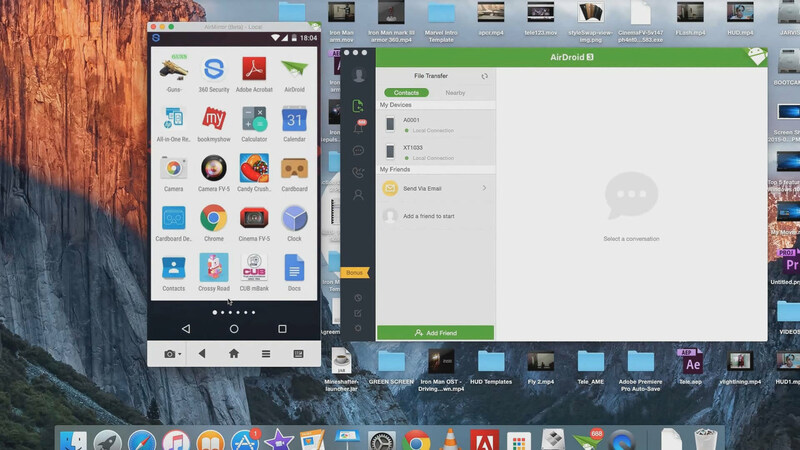 AirDroid makes it extremely easy to install apps on your phone. 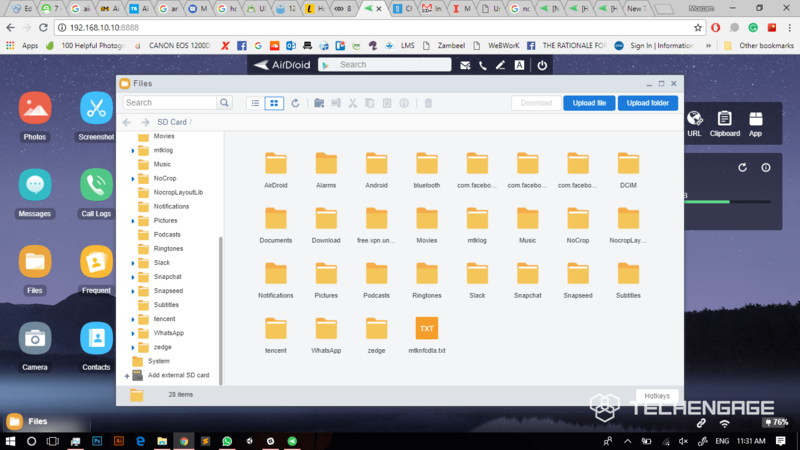 Simply drag and drop your APK files to your AirDroid Web Client to directly install applications on your mobile device. This is one of the most necessary features in the application. Often at work, we have to share some large files with other employees. But we are often unable to do so because of the 25 MB limit we have on total attachment size when sending files via emails. AirDroid gives you a great solution to share files of large sizes. In order to do so, users only need to enter the email addresses of the recipient and upload their files on AirDroid. AirDroid generates and sends your recipients a temporary link from where they can download the files within 7 days. 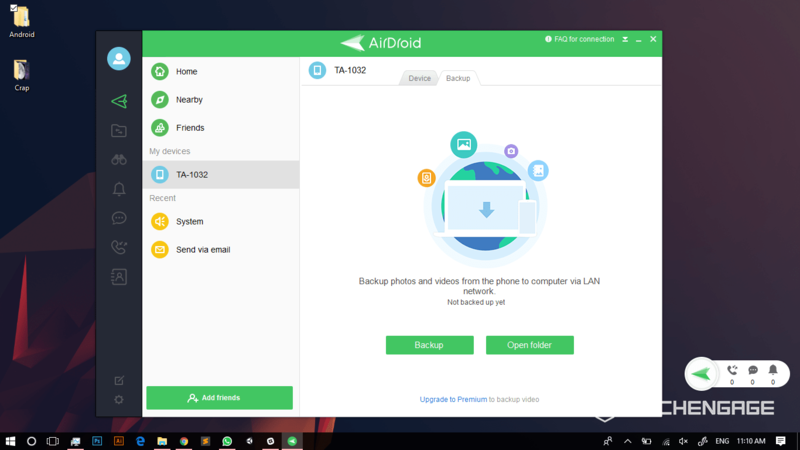 With AirDroid you can automatically backup all your important files and images on your computer. In case you lose data on your phone, you can easily access your files from your computer! However, the app requires you to upgrade to the premium version to automatically backup videos on your PC. 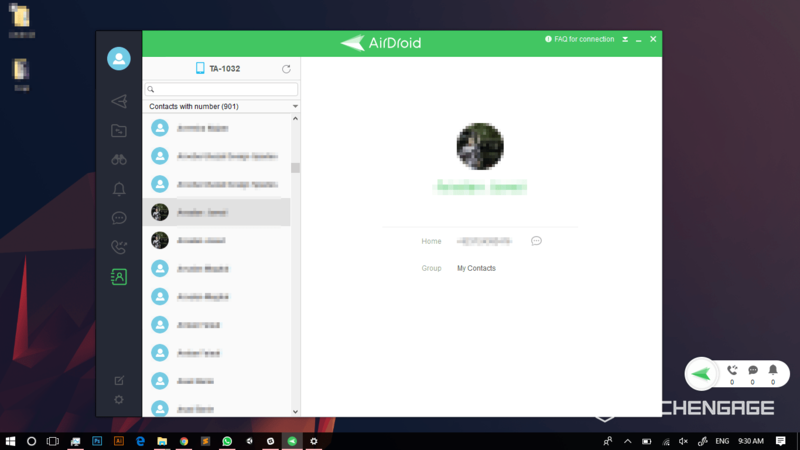 The amazing features of AirDroid can be used remotely without using a chord to connect your phone (except for a few features). Thus, you don’t need to take your phone out of the drawer at work and still use it from your desktop. The best thing about AirDroid is that you can access all the features mentioned above without rooting your phone! This lets you enjoy a seamless multi-device experience while staying away from the risks associated with rooting your phone! When it comes to controlling your devices remotely, AirDroid goes to the extent to even give its users the access to their phone’s clipboard! Yes, you can easily access the text you have copied in your phone and use that anywhere you want. 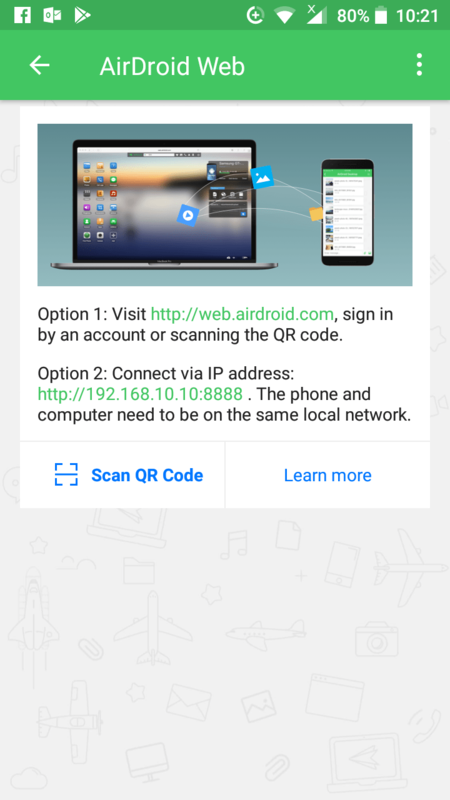 Moreover, AirDroid allows you to open any URL on your phone directly from your computer. 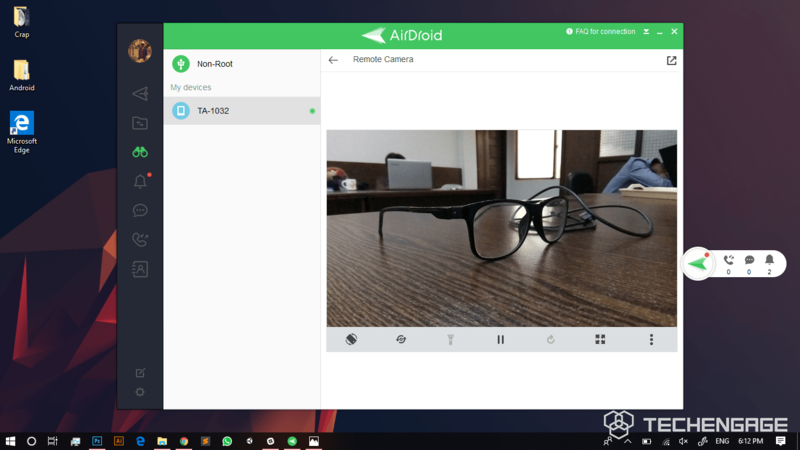 AirDroid is one single app that allows you to access your phone’s camera, messages, settings, music, apps, files, gallery and many more options from your PC or Mac. With all these amazing features, AirDroid takes the concept of controlling your phones to a whole new level.